This table was made to grace a post and beam barn, converted to a house. We left the legs bold like the barn timbers, the top is hand scraped, and the recycled oak came from Appalachian Woods in Stuarts Draft, Virginia. 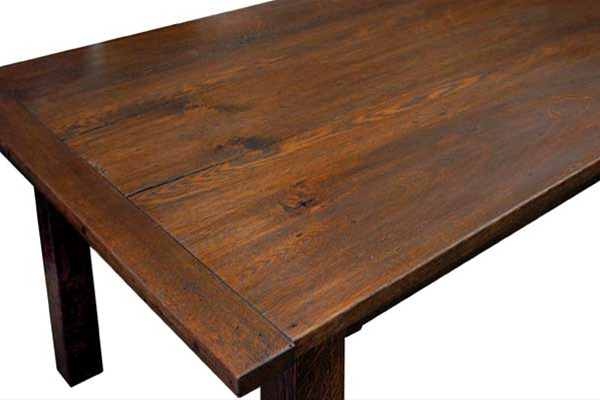 See our links page to go to their website www.appalachianwoods.com/ This table also available with tapered legs @ $2600. 42" x 108" x 29.5"